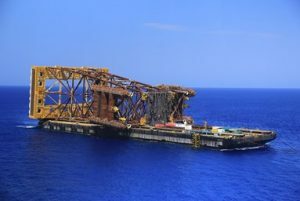 McDermott engaged Cube Offshore to provide subsea structural engineering support services to their Ichthys URF project. 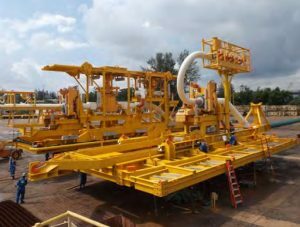 Cube personnel were appointed to manage the delivery of the 4 x FLET designs (x 16 total), 1 x ILT design (x 6 total) and a Pipeline Buckle Initiator (x 56 total) which were contracted to IntecSea for detailed design. 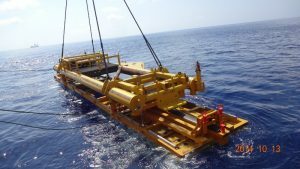 In addition to managing this scope, Cube delivered the FEED for 4 additional subsea structures. The scope expended approximately 5000 manhours. 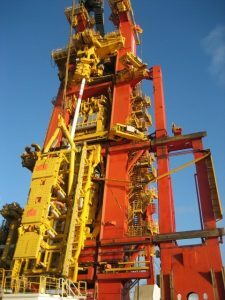 1st end 18″ FLET ready for deployment through the Heerema Aegir moonpool. 12″ FLET c/w pig launcher. Installation of a Pipeline Buckle Initiator using the dedicated installation / lift frame. 56 x Pipeline Buckle Initiators ready for deployment onto the seabed using the dedicated installation / lift frame. 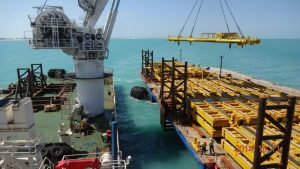 Riser Support Structure (RSS) under transport to final location in the Ichthys field.